Work, rest, play repeat – it’s no accident that humans spend a third of their lives asleep! To put it in context, if you’re 75 years old you will have generally slept for 25 years or 9,125 days1! There are plenty of reasons why we naturally spend so much of our time recharging with restorative sleep – or attempting to. Let’s explore why restorative sleep in particular is vital for your overall health and wellbeing. Together, deep sleep and REM sleep are often collectively referred as ‘restorative sleep’. While all sleep is good for health, the phases of deep sleep and REM sleep are the two sleep stages during which our bodies and minds undergo the most renewal. During deep sleep, our breathing rate and blood pressure decrease, and we enter what sleep experts call slow-wave sleep, when our brain waves become slow and large2. REM sleep, or Rapid Eye Movement sleep, is a mentally active phase – you might recognise it best by the time of night where you experience your most vivid dreams. In the REM sleep stage, while your breathing and heart rate increases, many of your muscles ‘switch off’ and take some much needed R&R. REM sleep is also the time that assists your emotional processing3. But that’s not all that your body is refreshing during its restorative sleep stage – in fact the list of benefits that sleep produces during restorative sleep is extensive. Sleep helps make you feel hungry or full and reduces your risk of obesity; it affects how your body reacts to insulin; supports healthy growth and development; develops and maintains your immune system and rejuvenates your muscles and repairs damaged tissues4. It’s best to think of restorative sleep as two bookends on either end of your nightly sleep cycle. A person’s deep sleep state usually occurs within the first third of the night, while REM sleep happens in the last third of the night. Seeing as the average adult should be sleeping between seven and nine hours each night5, to get both deep sleep and REM sleep you should aim for a consistent night’s sleep that facilitates both ends of the sleep cycle. Aiming for this full night’s sleep is well worth the effort. Restorative sleep is also good for our mental health and helps us to retain learning and memory while managing out stress and emotions. That’s why when we’re sleep deprived, we find it harder to concentrate6. With all these positives to restorative sleep, it’s easy to see that sleep deprivation can have an impact on your life. What happens if you don’t receive restorative sleep? Over time, sleep deficiency has been known to lead to health problems; as well as affecting how well you think, react, work, learn, and get along with others7. For example, if you are missing out on this restorative sleep because of a sleeping disorder like sleep apnea, your body will naturally do all it can to try to increase the amount of deep sleep you get the following night. These natural ‘catch-up efforts’ are a sign of how important deep sleep is to your health and daytime functioning, as your body works hard to make that you get enough of it. The morale to the story is simple: sleep well and you may find that you feel better. If you are not sleeping well then it might be best to speak to your GP about it. There are steps you can take to make sure you’re doing what you can to protect your restorative sleep and maintain a healthy sleep schedule and combat common sleeping disorders such as sleep apnea. For example, did you know that daily habits such as drinking caffeine, exercising and napping can all have an impact on the quality of your restorative sleep? To learn more, download a free copy of CPAP Australia’s eBook, ‘7 Ways to Treat Sleep Apnea’ which is available online here. 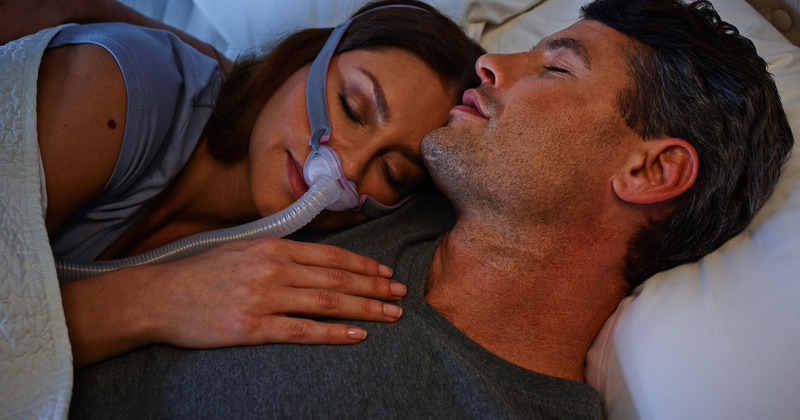 If you are already on treatment for sleep apnea and don’t feel like you are experiencing restorative sleep, speak to your sleep specialist or arrange a time to visit any one of our CPAP clinic locations for a therapy checkup.